The County Planning Board is developing a Comprehensive Plan, and has discussed adding broadband and telecommunications as a priority. While several incumbents, including Spectrum and AT&T, operate in the area, the survey can give community leaders a better idea of where residents lack useful connectivity. 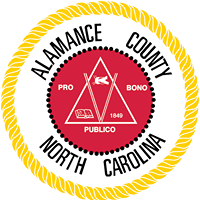 With better data, they can also develop a more detailed Master Plan to help them establish and achieve their vision of Alamance County's future. If you live in Alamance County, take the survey to help community leaders determine a better idea of where Internet access is lacking and what kind of connectivity you and your neighbors need in your region.